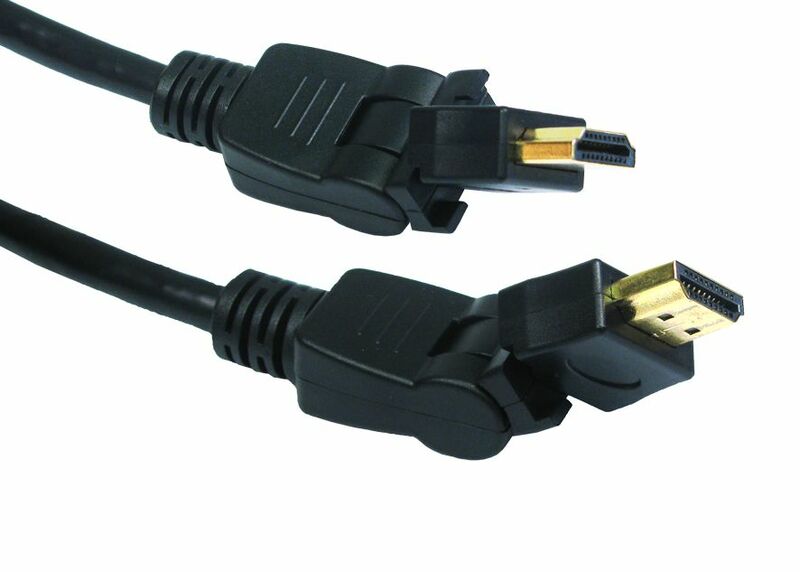 HDMI Cable With 2 Way Swivel Plugs V1.4 3M - Hdmi Cables Same Day Dispatch On Our Leads If You Order Before 2pm Weekdays. HDMI High Speed with ethernet channel cable, HDMI connector can rotate and twist giving total flexibility when connecting devices. Ideal for wall mounted TV's. Currently viewing: HDMI Cable With 2 Way Swivel Plugs V1.4 3M - Hdmi Cables Same Day Dispatch On Our Leads If You Order Before 2pm Weekdays.